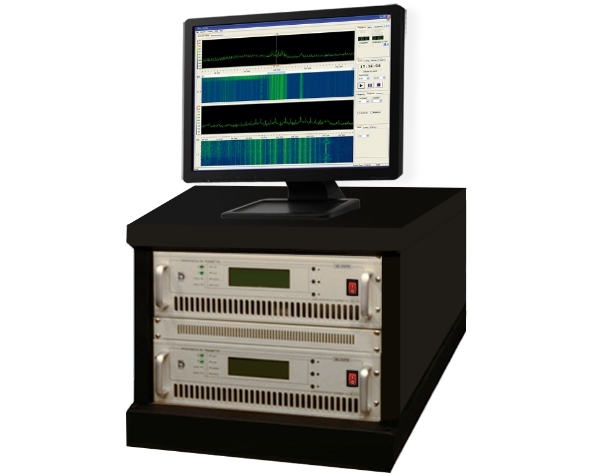 HF and VHF-UHF Monitoring System is designed and integrated for the purpose of passive interception, logging and analysis of target HF or VHF/UHF radio links operating in frequency range from 1.5 MHz to 30 MHz. and 20 MHz to 3 GHz respectively. The frequency range can be enhanced up to 10 kHz in the lower band and up to 6 GHz in the upper band based on specific customer requirement. The system has a Wideband Search and Intercept Receiver for wideband scanning of selected spectrum along with wideband direction finding to search and intercept radio transmissions in HF or VHF and UHF bands. These can be integrated with Multi-Channel Monitoring Receivers to intercept the radio communication frequencies of interest along with direction finding of individual narrowband signals. The system is equipped with user friendly GUI for full control of the search, interception and monitoring receivers being provided as part of the system. The GUI also provides flexibility to view the received spectrum developed using 24 bit radix 2 complex FFT processing algorithm with variable processing bandwidths from 6.25 kHz to 50 kHz with very low frequency resolution. The system stores all the intercepted communication for detailed analysis of intercepted signals by respective operators. The system can be integrated with a software based Direction Finding system for integrating multiple monitoring stations for detailed local map integration for location finding of target radio transmission stations. 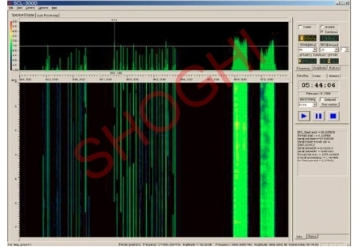 The system can be also integrated with a software based signal classifier and advanced protocol decoding system for decoding of data protocols used in radio transmissions. The system can be provided in both static and transportable configurations where all the modules are seamlessly integrated to provide an integrated monitoring and surveillance platform to the operator for effective and efficient Interception process. The system can be easily fitted in a vehicle of customer choice. 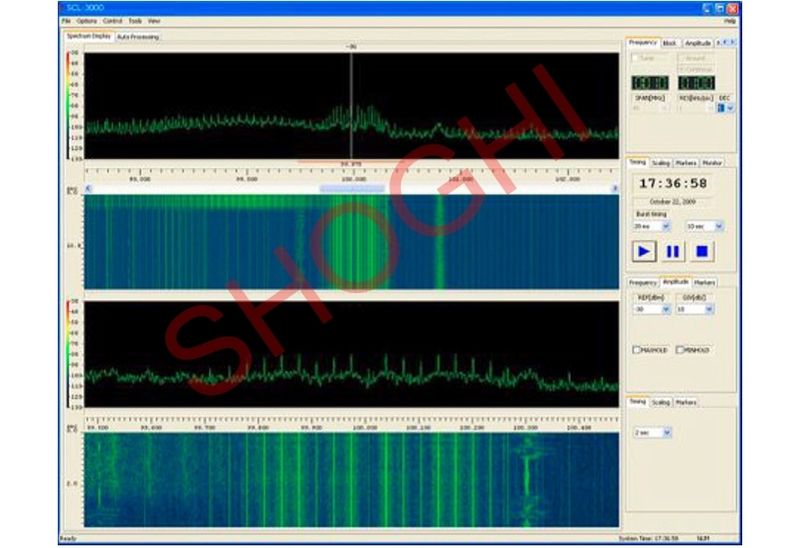 The Shoghi HF and VHF-UHF Monitoring System is as integrated radio monitoring and DF system. It is based on SDR based wideband receivers which have specified roles. Thw Wideband Search and Intercept receiver is a wideband receiver which is used for scanning of required portion of the spectrum to be able to identify the RF transmissions which indicate the active frequencies as also can indicate the direction (DF) of the RF transmitters at the respective frequencies with respect to the location of the receiver. It is also possible to select specific directions for monitoring of transmissions coming from only the chosen direction. The individual monitoring of RF channels is carried out by the wideband Multi-Channel Intercept and Logging receiver which is capable of simultaneously monitoring 16 narrowband radio channels which get recorded in the available storage.The directions of respective transmissions (DF) is also simultaneously provided if connected to a DF antenna. 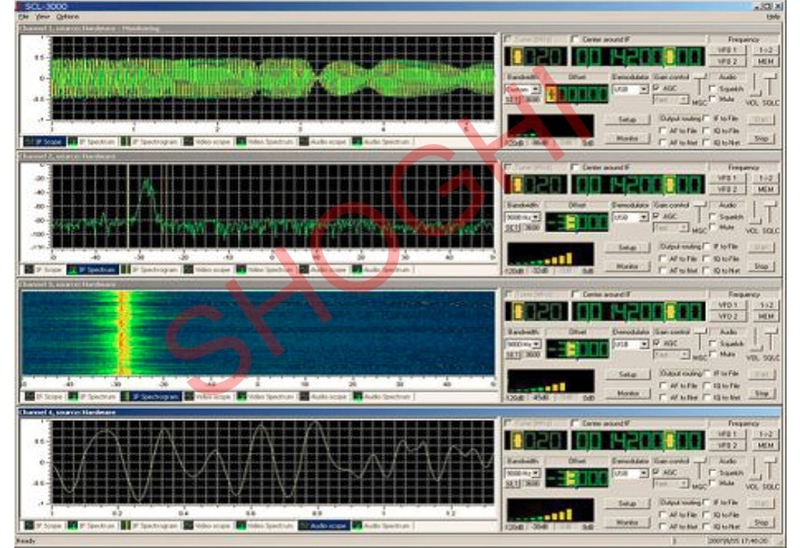 A combination of the two wideband receivers is provided as part of the HF and VHF-UHF Monitoring System. Additional software application on a separate workstation can be provided by connection of up tp four such monitoring and DF stations through WAN network for the location fixing of respective transmitters picked up by the HF and VHF-UHF Monitoring System. The system can be provided independently as HF monitoring and DF system and VHF/UHF Monitoring and DF System with dF antennas of respective bands provided for this purpose.